Provide excellent product design and production technology to achieve three major requirements; high quality and low cost products, on time delivery, provide a safe working environment, and reward our staff with high rewards. Company Introduction. Quality: Do it right the first time. Reliability: Be reliable in quality and delivery. Excellence: Continuous improvement in all aspects. 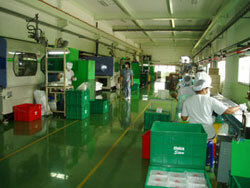 Our know-how and skill for the use of high technology is ready to serve all domestic and overseas customers. Jumpway provides greater access to superior quality and designs, for worldwide market guarantee. Furthermore, we deliver your order with care and according to your wishes.